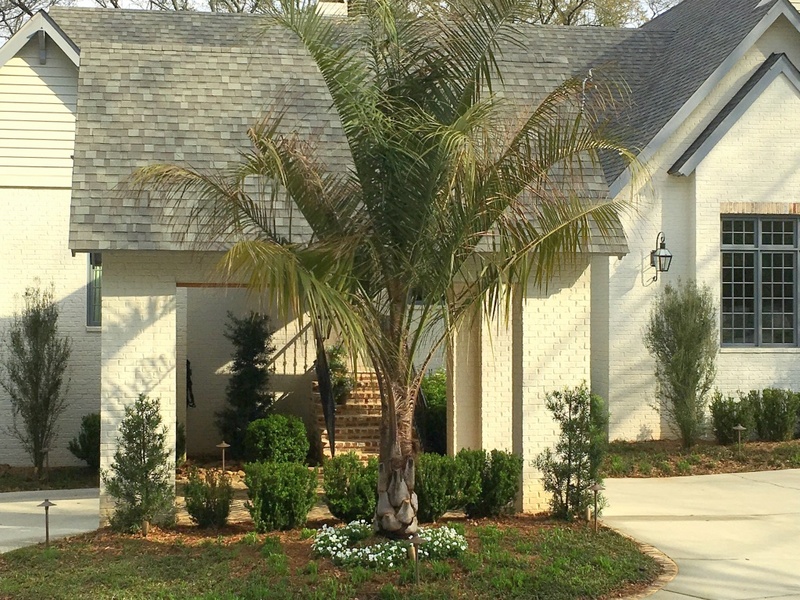 This Mule Palm graces a beautifully landscaped yard in Spring Hill. The Queen Palm is not a recommended palm for Mobile landscapes. 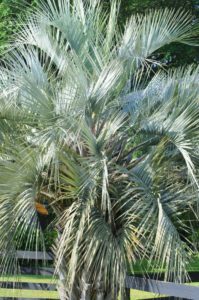 After we shared my blog post about cold damage in palms, within one week I received questions about Mule Palms. To be truthful, I had never heard of this palm. I ran into David Schmohl with JubileeScape and he enlightened me about this palm and said he had even planted a specimen near where I live. So, that encounter solved two of my questions: (1) What is a Mule Palm, and (2) What on earth was the new palm I had been trying for weeks to identify in my neighbor’s yard? 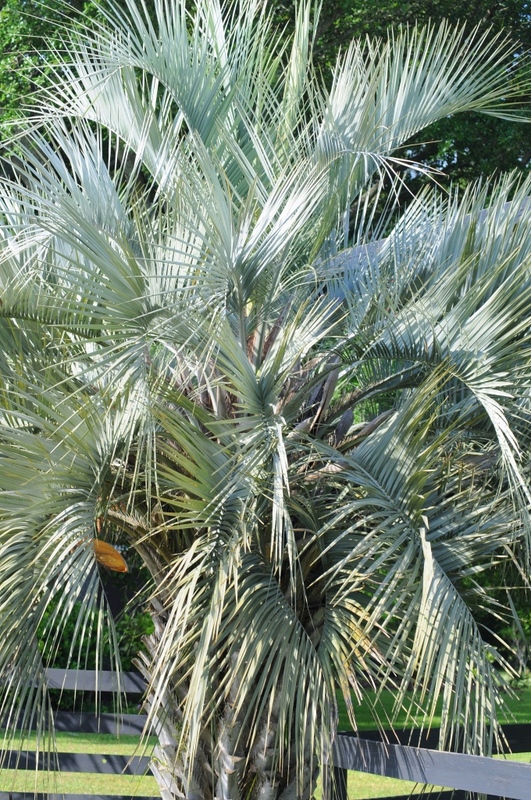 The cold-hardy Pindo Palm has beautiful, gray-blue foliage. So I did a little research, and interestingly enough, a Mule Palm is an intergeneric hybrid (aka – a fairly uncommon cross between two genera). Mule Palm, X Butyagrus nabonnandii, is the resulting hybrid when Pindo Palm, Butia capitata, is crossed with Queen Palm, Syagrus romanzoffiana. The common name Mule Palm relates to the fact that seed produced on this hybrid are sterile, just like a mule. 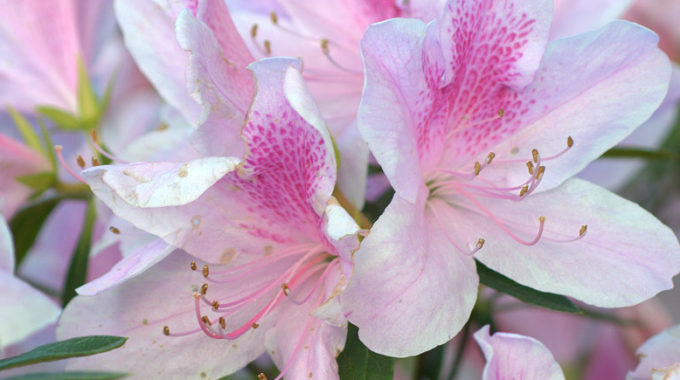 This hybrid has very desirable attributes, as the foliage takes on the characteristics of Queen Palm and has the cold hardiness of Pindo Palm. In the literature there have been reports of Mule Palm surviving temperatures as low as 17 degrees. Queen Palm would be killed at temperatures that low, but the other parent of Mule Palm, Pindo Palm, would not be harmed at all. Mule Palm is a fairly rapidly growing palm and thrives in full sun and partial shade. 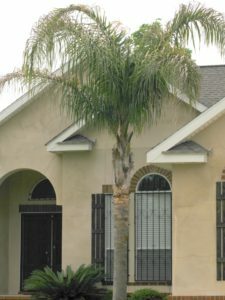 Since it takes a great deal of effort to produce this hybrid, Mule Palm may cost more than typical palms available for landscaping in Mobile. 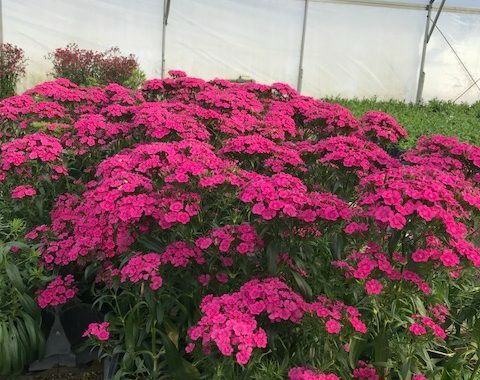 But if you want to have a lush tropical palm in your landscape that is reliably cold hardy in our area, Mule Palm would be a good choice.